Bingo is a popular game to play both online and in person. In fact, there are more than 45 million visitors to United Kingdom bingo clubs every year, a number that continues to grow. Today’s bingo halls have thumping music, team events, and a party atmosphere. It’s no wonder that players across London are lining up to try the game. Bingo is also rising in popularity online. It’s an easy game to play on the way to work and a nice way to wind down at the end of the night. With Bingo attracting such a diverse crowd, we started to wonder. Who is playing this game? Who makes up the communities of tight-knit bingo players logging in every night? Be sure to check out the full interactive here, and enjoy our findings below. Let’s start with the demographic information. The first thing we learned is that 75 percent of bingo players are women. The biggest age group includes players 25 to 34 years of age, which makes up approximately 35 percent of our total bingo players. The second largest group, ages 35 to 44, makes up 30 percent of our players. The remaining players who chose to share their age are over 45, and 13 percent are over 55. Our survey also revealed that the average bingo player is married. These players reflect 56 percent of the total, while 32 percent are single. The remaining 12 percent are either separated, widowed, or divorced. While the average player may skew young and female, the even distribution between age and marital status indicates a diverse community. It also shows that almost anyone can enjoy playing bingo. Why Do People Play Bingo? Naturally, the age and gender of those playing online bingo aren’t as important as why they play. After all, the reasons for playing help to build the community of bingo players who join together to compete in friendly competitions. Primarily, users play bingo because they find it exciting. More than a third of respondents said they enjoy playing online bingo for the thrill of it or the buzz they feel after winning. Another 47 percent of respondents play online bingo to stay relaxed during stressful situations or a long day. One particular respondent plays online bingo because it’s a chance to win money without going out of the house. However, our data has shown that bingo isn’t always about the money. In fact, 91 percent of bingo players spend less than 100 pounds per month on the game. While the excitement and a chance to win money is definitely a reason for playing, many people also said they enjoyed the excitement of the win and community around them. This is what keeps players returning again and again. How Do They Play Bingo? If bingo players log in to try their luck when they’re looking to relax or enjoy themselves, it’s important to understand what constitutes their most relaxing environment. It turns out that 92 percent of online bingo players access websites through their desktop or laptop computers. Overall, 55 percent watch TV while they play, and 65 percent play in the evening. The vast majority of bingo players access the site through their desktop computers, but 47 percent also sign in through their mobile devices. There are two main differences between desktop and smartphone players. Desktop players visit three times as many pages as smartphone users and stay on the site three times as long. While smartphone users might be looking to enjoy a quick game after work, desktop users enjoy settling in and participating in the bingo community. What Is the Standard Myers-Briggs Profile for Bingo Players? 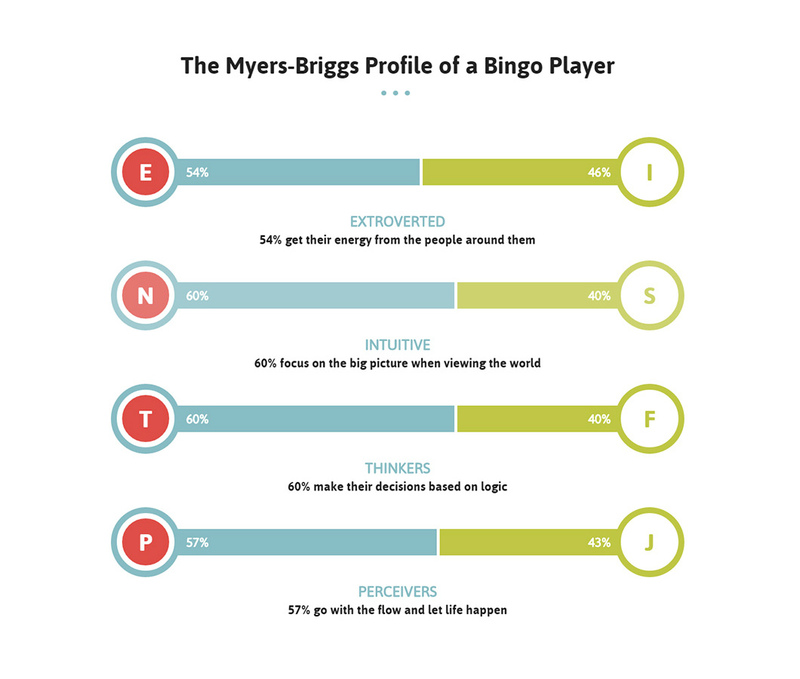 To learn more about the traits of the people playing online bingo, we asked about their Myers-Briggs profiles. About 54 percent of bingo players consider themselves to be extroverted, and they prefer to use their intuition and look at the big picture of the world. About 60 percent of our respondents are thinkers who use logic rather than feelers who rely on values. About 57 percent are perceivers who like to go with the flow. All in all, the average online bingo player has an ENTP personality. This personality type loves to form strategies and restructure plans as needed, which is clearly a good skill to have in bingo. Notable ENTPs include Benedict Cumberbatch, Anna Kendrick, and U.S. President Barack Obama. Where Are Bingo Players Located? 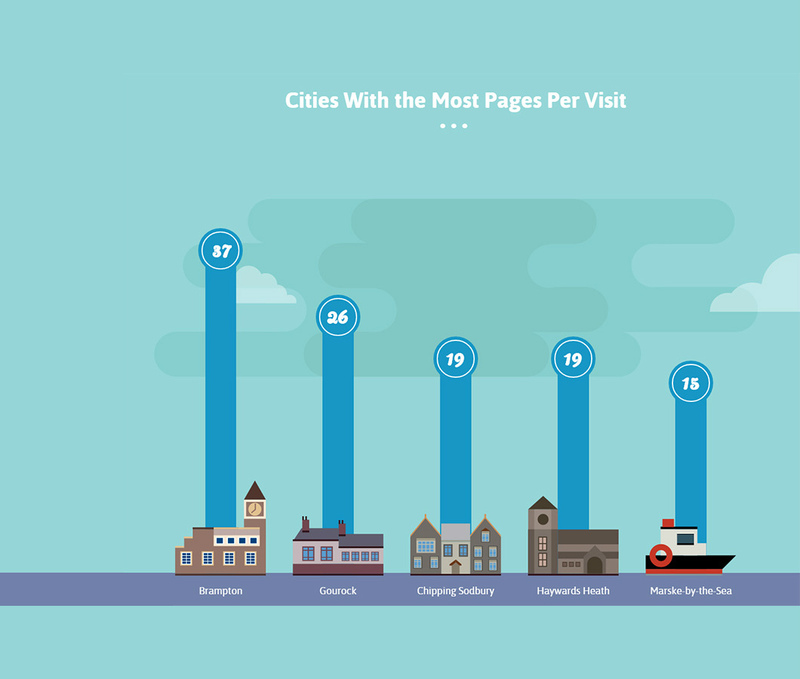 While Wink Bingo has players logging in from across the UK, Brampton takes the lead above all other towns, with the most pages per visit. It’s quickly followed by Gourock, Chipping Sodbury, and Haywards Heath. Marske-by-the-Sea of Yorkshire rounds out the top five. Just because these towns reflect the highest number of bingo player visits doesn’t mean that they’re home to the biggest bingo fans. 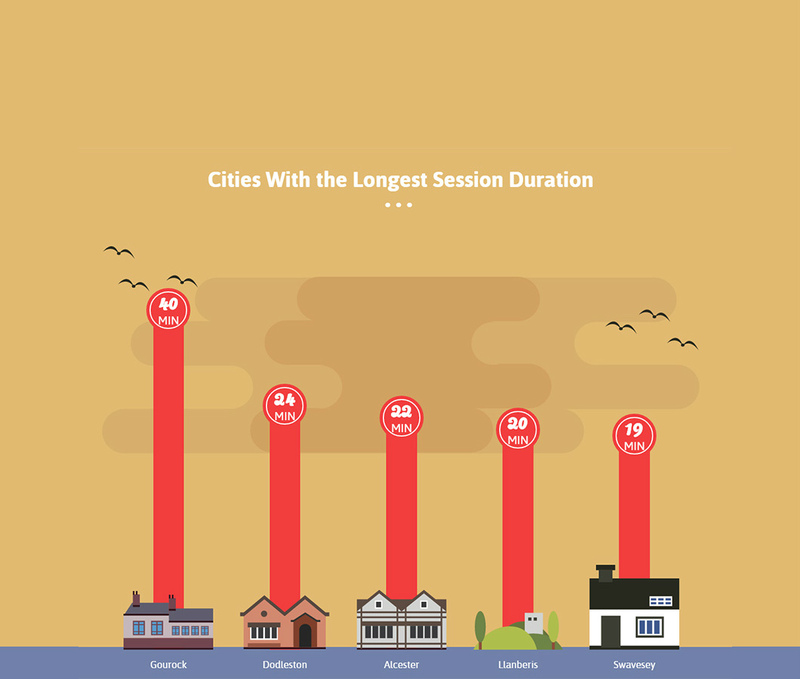 Gourock actually has the longest session duration, with the average user spending 40 minutes playing online bingo. Dodleston trails behind with the average duration of 24 minutes, and Alcester comes in third with 22 minutes. Since it has such a large lead when it comes to session duration, as well as the second highest number of players, we would consider voting Gourock the bingo capital of the UK. Painting a clear picture of bingo players across the UK is a fascinating way to learn about the community, and we also learned how incredibly diverse and widespread the game is across regions, ages, and genders. This diversity is only expected to grow as the popularity of online bingo does. Check out the full interactive infographic to learn more.